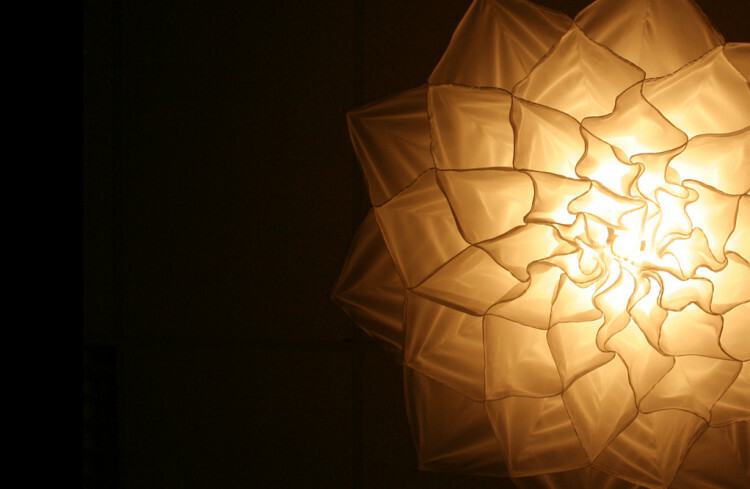 Shylight is a light art installation by Amsterdam-based Studio Drift consisting of delicate sculptural lamps that open and close like flower blossoms. 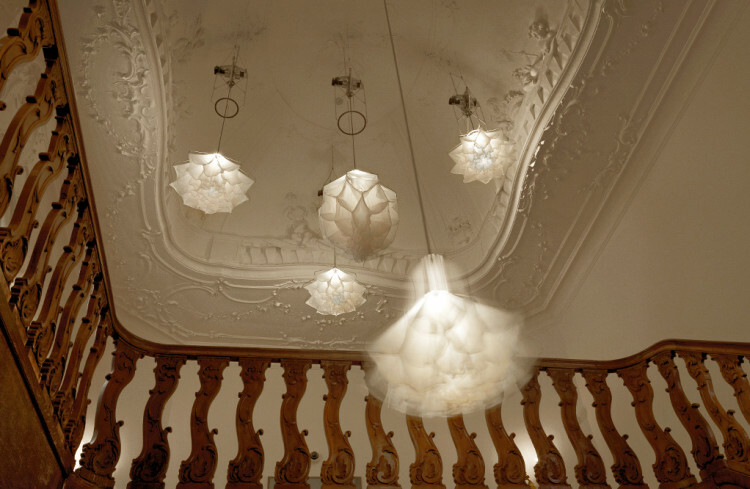 Crafted from silk and metal, the sculptures are suspended from the ceiling like hanging lamps. Their height can be adjusted by nearly 30 feet, which allows them to raise and lower in sync with the blooming function (as they open, they descend; as they close, they ascend.) The installation can be controlled via iOS, which allows the sculptures to be coordinated with music, for instance. Shylight is on display at the Rijksmuseum in Amsterdam.